Q: Do I really need a regular screening mammogram? A: Breast health is an important part of a woman’s overall health, and we know that early detection saves lives. Although breast cancer screening cannot prevent breast cancer, it can help find cancer earlier, when it is easier to treat. There are many factors that go into deciding an individual’s recommended screening schedule. We suggest that you discuss breast screening with your health care provider starting no later than age 40 and earlier if you have increased risk factors. Q: Why choose CMC’s Breast Care Center? A: CMC’s Breast Care Center is accredited by the National Accreditation Program for Breast Centers (NAPBC). Here, you’ll find compassionate care along with the most sophisticated breast imaging technology available in New Hampshire, including ABUS (Automated Breast Ultrasound) for women with dense breast tissue. At CMC’s Breast Care Center, you’ll have access to everything you need, from screening and diagnosis to treatment, survivorship and beyond, all under one roof. 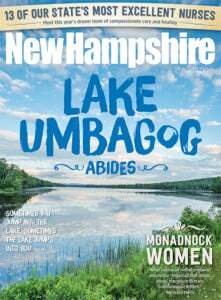 This Q&A is part of New Hampshire Magazine's Pink Power: Breast Health Awareness special advertising section that was featured in the October 2017 issue.